I love a good angel food cake as good as the next person, but a homemade angel food cake is a whole new level. 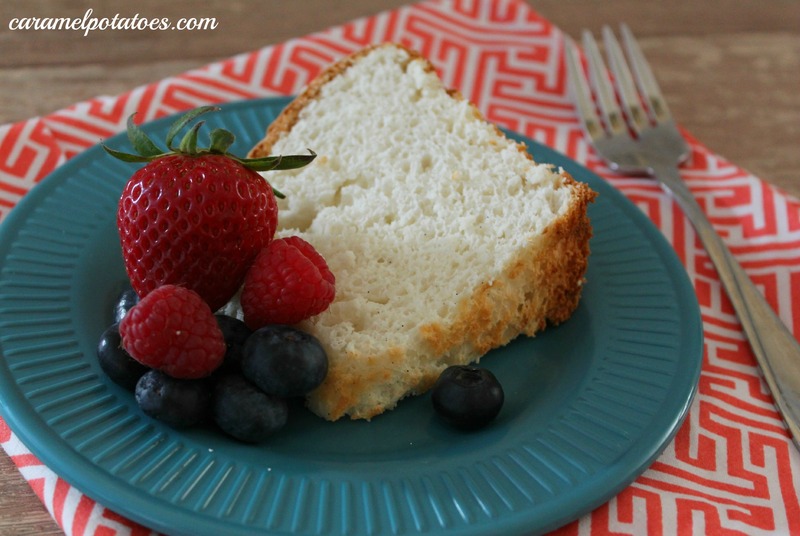 If you have never tried a homemade angel food cake before you are going to want to give yourself a try. I think that sometimes angel food cake is a little intimidating for people, but I am here to tell you it really is pretty simple. 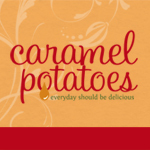 And another great thing is there is no butter and only uses egg whites, making it low in cholesterol and fat. 1 1/2 cups egg whites (about 12 large egg whites) room temp. Preheat oven to 375. Sift together the cake flour and powdered sugar; set aside. In the bowl of a stand mixer, add the egg whites, cream of tarter, salt and vanilla bean paste. Beat with the wire whip, on medium speed, attachment until foamy. Once foamy, gradually add the granulated sugar 2 tablsespoons at a time, while still beating at medium speed. Continue beating until meringue is very firm and holds stiff straight peaks, use high speed on mixer. Gradually add the flour-sugar mixture (1/4 cup at a time). Cut and fold in gentlyh a spatula, until it disappears each time. Carefully push the meringue batter in to an ungreased 10 inch tube pan. Even the surface of the batter. Pull a knife gently through the batter, in a widening ciercle, to break air bubbles. Bake 30-35 minutes or until no imprint remains when finger lightly touches top of cake. Let cake cool completely in pan. Loosen side of cake with a knife; remove from pan. Serve with fresh fruit and whipped cream or try it with Fresh Blueberry Sauce. Fresh Strawberry Cream is also another delicious option.